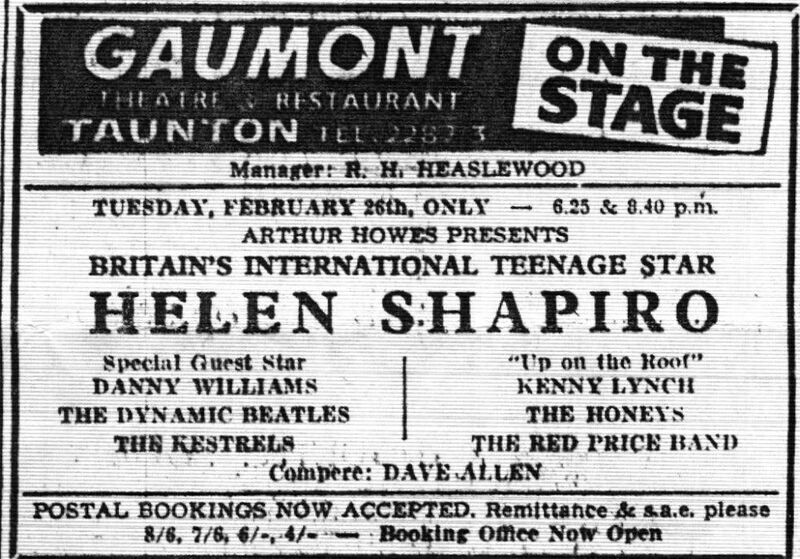 The Helen Shapiro tour continued, but without Helen who was ill this and the following night with a cold. Singer Billie Davis was added to fill the bill and Danny Williams was promoted to headliner for these two dates. 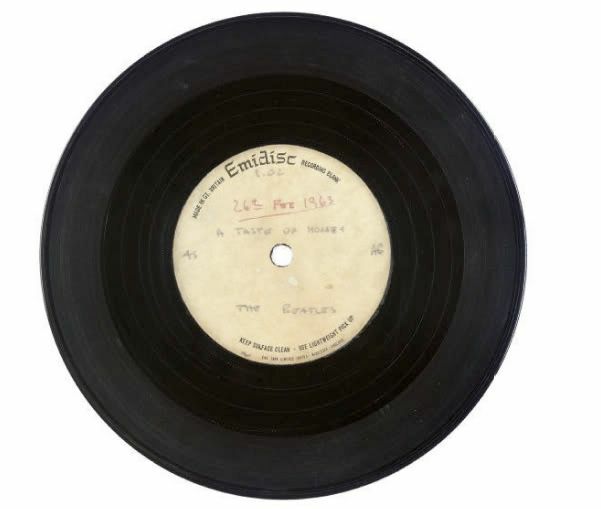 EMI acetate of "A Taste Of Honey", recorded 11 February. Thank you for your letter and also for returning the contract signed by yourself. I regret, however, that it is necessary for me to request that the contract be endorsed by a representative of Stowe School itself over twentyone years of age. As otherwise the contract is not strictly speaking legal. As I am assuming you will have no difficulty in obtaining such signature I enclose herewith our signed counterpart. We will use our own microphones and amplification and will naturally be grateful for any assistance which your electricians can give to our road manager in setting up. When the group arrives I suggest that it will be best for them to proceed to the hall and see the layout etc. but I have no doubt that they will be delighted to look around the school and to meet some of the boys. I am pleased that you are arranging for a meal for us after the performance. I'm not at present sure whether we will return from London (from where we will have come) or stay nearby the same night. Is there a good hotel in the district? Many thanks again for your co-operation.